Why Choose the Hemodialysis Technician Program? Hemodialysis technicians play a vital health care role by providing basic renal care for clients under the supervision of a registered nurse or physician. In our Hemodialysis Technician program, students participate in theoretical and practical preparation in the duties and responsibilities of a hemodialysis technician. The program includes a practicum in a dialysis facility to provide students an opportunity to develop and practice the skills of a hemodialysis technician and participate as a team. If you have a passion for health care and a desire to work closely with patients, this might be the program and career path for you. CPTC's Hemodialysis Technician program prepares students how to operate kidney dialysis machines in outpatient settings, such as hospitals or dialysis centers. Attain entry-level skills to perform venipuncture while understanding the importance of vascular access. Students must complete all modules in the online classroom with an 80% or better score. Comply with government CMS standards and maintaining the safety of the patient. Define the basic principles of diffusion and osmosis relating to dialysis; will be able to identify normal kidney function. Demonstrate appropriate theory and principles as they relate to the end-stage renal failure and its complications with Hemodialysis. Learn to setup\operate the dialysis machine per policy and procedure. Students will also learn about and complete computer patient charting. Perform dialysis procedures in a professional manner. Prepare and mix solutions for a dialysis treatment. Hemodialysis Technician Program Information Sessions are hosted in Building 21, Room 227, at 3 p.m. on the second and fourth Wednesdays of the month. For more information and a complete schedule of session dates, click here. Congratulations to Hemodialysis Technician instructor Ken Markovits, who was selected as Clover Park Technical College’s 2016 NISOD Excellence Award recipient. 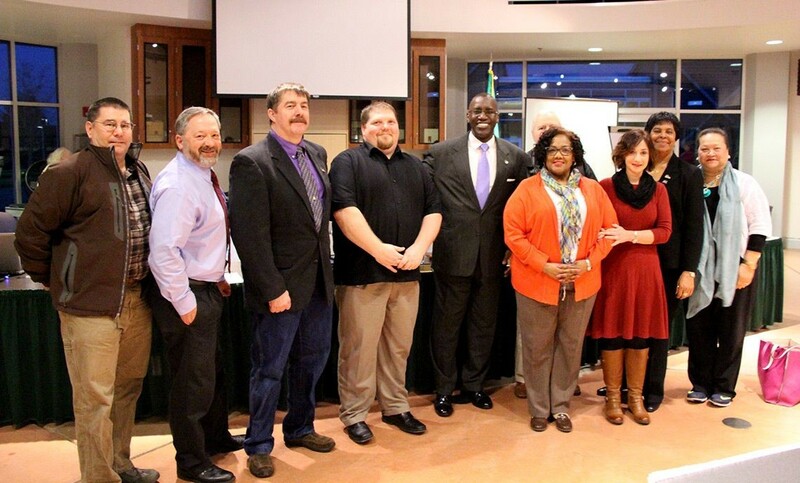 The Clover Park Technical College Board of Trustees awarded tenure to instructors Marla Briggs, Lara Cooper, Ken Markovits and Jody Randall on March 4.